In my household, the month of September and the passing of Labor Day used to mean tucking away my white jeans, getting the kids settled at school and ordering Halloween costumes. After my son’s cancer diagnosis in 2013, September will never be the same …EVER. The month now carries a sacred significance for our family and for all families touched each year with childhood cancer. September is the designated month to raise National Awareness of Childhood Cancer. Each September there are families working their hardest to reach out and awaken the general consciousness about this elusive malady that touches the most beautiful and vulnerable part of our society. 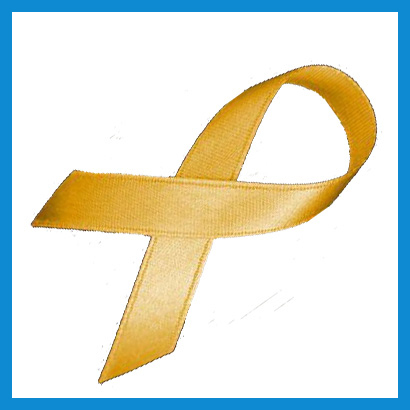 Yet most people don’t know what the month’s “golden ribbon” signifies: a desperate, unmet need for greater funding to find treatments. 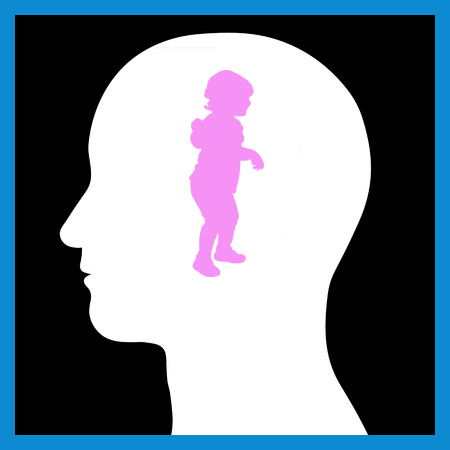 Headlines about advances in cancer therapies for adults obscure the astonishing fact that, for kids, there is no treatment revolution. Only 2 (a third in 2015) new pediatric cancer drugs have been approved for children over the past 30 years, and national and pharmaceutical funding for new therapies is virtually non-existent. I don’t want to share with you the statistics, the numbers about the stark reality of childhood cancer. I do want to ask you, have you ever been a child? I want to ask you to reflect back and remember if you trusted the grownups in your world to make your world safe and just. I want to ask you if you ever felt the presence of a love so enveloping that you knew that no matter what, goodness would prevail and children would always be a nation’s priority. I want to ask you to remember that grown ups have a sacred duty to be stewards of our children , especially the ones that don’t have a voice or wherewithal to change the status quo. If you recall the innocence and faith that once defined you…then you must already know much about why raising awareness this month of childhood cancer is imperative. This September, you can do your part in forming an invincible circle of light and love around the child and family affected by cancer. September summons a golden opportunity for all of us be better advocates for children and to be informed about the varied challenges facing childhood cancer research. Awareness can come in many different ways. It can be something as lovely and powerful as a whispered prayer for a child and the medical team taking care of the child, being fully present for the family, raising funds for research that is desperately needed, reaching out to the teacher, the politician, the artist, the corporate sector, your social media friend and challenging them to support this cause. If you can summon the child in you, then your efforts will come from an authentic call in your heart and perhaps, as the school year marches on, September will not just quietly slip away. This entry was posted in Cancer, Childhood Cancer, Pediatric Cancer, Rare Disease and tagged Asha Virani, Childhood Cancer Awareness Month. Bookmark the permalink. My son was diagnosed Nov.13,2014 he had AML leukemia and it was a journey but we got through it andvhis cancer was in remission. He was ready to be a kid again and we where starting bright new day,sadly a month later it came back and attack his brain and in top of the they found tumors. He fought til the end yes the end this disease took him from me May 27, 2015.